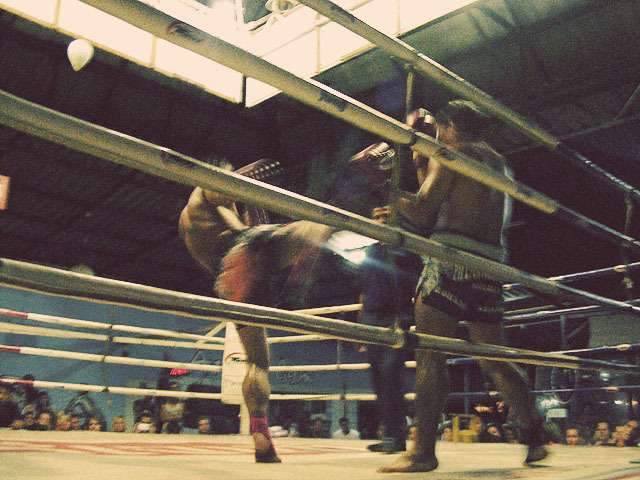 One of the things we wanted to do in Thailand was go to a Muay Thai fight because we had heard that it was the nation's biggest sport. 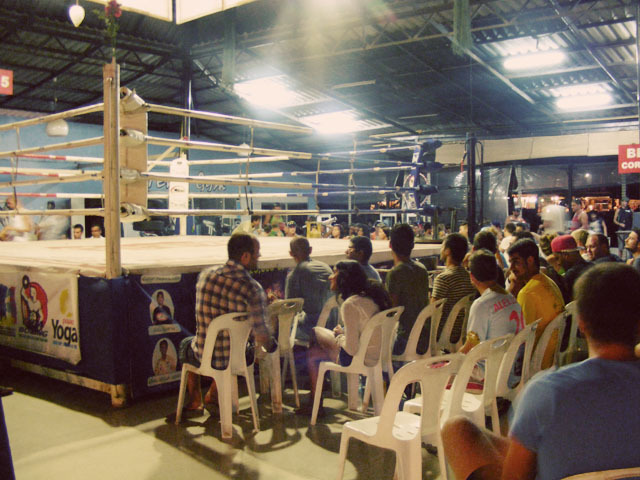 Luckily enough, the night before the Full Moon Party, the city we were in (Haad Rin Nai) was having a night of six Muay Thai fights... it was a no brainier. The arena was small than we thought it would be, holding only maybe around 500 hundred people. We arrived fairly early after the doors opened and were lucky enough to grab the last two available (and not saved) front row seats. It started around an hour late, which was really no surprise to us. But once they got going the action was pretty continual. Of the six fights, three of them ended in knockouts so it was a good night of entertainment. It was funny to watch the rituals all the fighters go through stretching and praying around the ring before the match begins. One of the guys drew a circle on the ground with his foot in the opponents corner and stomped on it. 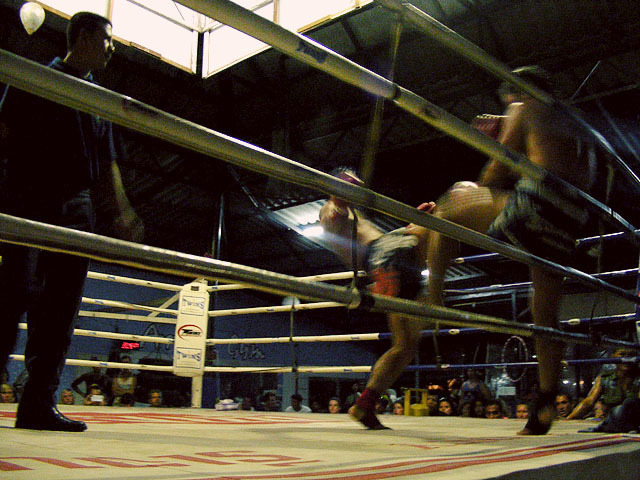 Like you would expect, it was much like boxing, just with kicks. Guys would exchange punches and kicks and then grab each other until the ref broke them up and told them to fight again. 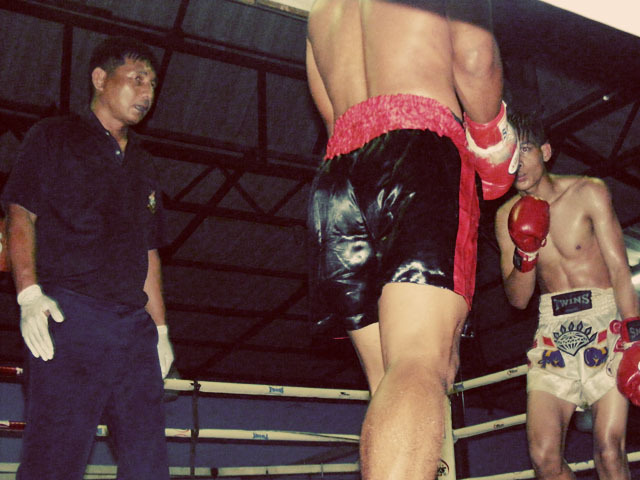 At first during the fights they played techno music, but shortly after thye started playing the traditional Thai music with high pitched horns and drums. There was a 'Bet Corner' where you could place bets on the matches. 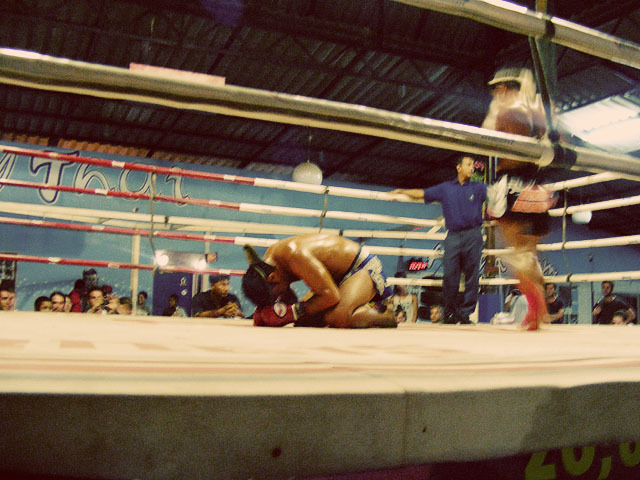 All and all, it was everything we had expected from a Muay Thai match.